As Brazil just ratified (on 31 January 2018) the ILO Convention 189 guaranteeing labour rights to domestic workers, this piece offers a reflection on the history and significance of this process. More specifically, I will show that the rights secured in the ILO Convention have their roots in the global South, and had been claimed for decades by domestic workers’ movements in Brazil and elsewhere. Thus, more than a case of adaptation or vernacularization of global (western) rights-frameworks, the Brazilian case is a sharp illustration of what I call transnationalisation from below. Indeed, it reveals the capacity of a subaltern group to transnationalise their demands and shape international debates on labour rights. Domestic workers, constituted in their vast majority of racialized and precarious women, are often presented as one of the most vulnerable groups of workers. On a global scale, the ILO estimates that there are 67 million domestic workers, of which 80% are women, and around 11 million or 17% are migrants. In Brazil, where there are mostly internal migrants, this number reaches 6.5 millions, with 93% being women and 61% black women. They earn on average 60% less than other workers, and only 30% of them are formal workers. Domestic work is commonly described as a modern form of slavery because of the absence of labour regulations in the sector. In fact, the high proportion of black women performing domestic work is intrinsically linked to Brazilian colonial history, and its associated gender and racial divisions of labour. Domestic workers’ struggle in Brazil has to do with gender, race and class. There is still a remnant, or a historical process, from the movement against slavery. We, black women and black men, we were trafficked from Africa and brought here to Brazil. The majority worked in the plantations, the others worked at the master’s house. To address domestic workers’ particular forms of exploitation, the ILO adopted the Convention 189 in 2011, protecting the rights of domestic and migrant workers. This new international norm positively affected Brazil where a similar legislation was voted in 2015, following from the 2013 Constitutional amendment that eliminated the legal discrimination of domestic workers. The ILO Convention has served as an argument to accelerate the legislative reform, and as a reference for the content of the law. However, in Brazil, the genealogy of this achievement has a longer history. It can be traced back to 1936, when the black activist and domestic worker Laudelina de Campos Mello created the first association of domestic workers. At the time, they were demanding the right to form trade unions (denied to them by the law 19.770/1931), and full inclusion within the emergent system of social security. But as the Labour Code (CLT) was adopted in 1943, it defined domestic work as a ‘non-economic’ activity and excluded domestic workers from labour regulation. In 1968, domestic workers’ associations organised their first National Conference, and drafted a bill demanding to be included within the CLT. Then, in their 1976 National Conference, they wrote a resolution demanding a 10-hours working day with a 1-hour lunch break, the minimum wage, compensation for night shifts, and their full inclusion within the CLT. In the early 1980s, they got involved in the movements for the democratisation of the country, and supported the creation of Workers’ Party (PT), and its affiliated Trade Union Congress, the CUT. In 1985, reunited in their 5th National Conference, domestic workers adopted a resolution that demanded very specifically the rights contained in the 2015 legislation: minimum wage, notice period and compensation for unfair dismissal, access to unemployment benefit, limitation on working time and compensation for extra-time. Some of those rights were guaranteed by the 1988 Constitution, in particular the right to minimum wage and the right to unionise. However, the Constitution also reproduced in its article 7 domestic workers’ exclusion from the Labour Code. With PT in power from 2002 to 2016, domestic workers now organised into trade unions and affiliated to the CUT, got access to institutional politics. Being the ‘natural allies’ of the PT through their union affiliation, they were in capacity to negotiate directly with the state, and used this political opportunity to press for a legislative change. After years of mobilisations and lobbying, they finally obtained the Constitutional reform of 2013, also knows as the “PEC das domésticas”, which alters the article 7 of the Constitution in order to establish equality of rights between domestic workers and others workers. After 77 years of mobilisation, the exclusion of domestic workers from labour rights was finally eliminated. This reform was then translated into the law 150/2015, which specifies its conditions of application. The Constitutional reform was presented as a necessary condition to ratify the ILO Convention 189, otherwise made incompatible with national laws because of the legal exclusion perpetuated since 1943. However, if the ILO has been determinant in opening an international political opportunity for domestic workers’ movement, and in setting the global agenda, I argue that the Convention 189 itself has its roots in the global South. 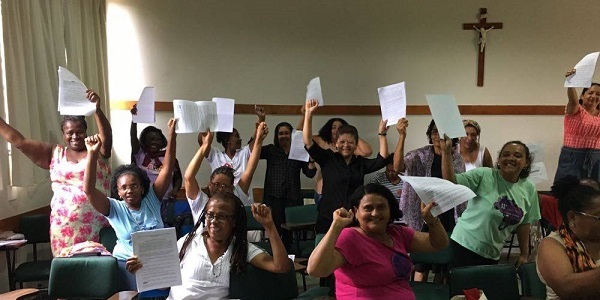 And Brazilian connections with the ILO Convention reflect first and foremost domestic workers’ ability to use the transnational arena to influence national policy outcomes. Indeed, in Brazil the demand for equal rights and the full recognition of the status of worker started 80 years ago, while similar movements emerged around the same period in other Latin America countries such as Bolivia. In 1988, domestic workers’ associations and unions in the continent formed the Confederation of Domestic Workers of Latin America and the Caribbean (CONLACTRAHO) to gain visibility at the international level, and press their national governments to recognise them as workers. The CONLACTRAHO and its affiliates have been collaborating with the ILO since the 2000s, and specifically demanding a dedicated Convention on domestic work since 2005. We contribute to the Brazilian and global economy. Our workforce contributes to the economy. But unfortunately, society doesn’t value this work, because it’s done by women, and black women. Domestic work is the worst and the best of all jobs. It creates education, health and wellbeing. If domestic work ends, all the other professions will end too. Everyone needs a domestic worker; the doctor, the professor, they all need someone to take care of their house, their children, and cook them food. If domestic work ends, Brazil ends. It is a very important job, but people don’t value it at all. Fundamentally, domestic workers reclaim domestic and care work as being productive and valuable, against centuries of devaluation of black women’s labour. They propose a radically alternative vision of society in which domestic workers are considered as workers in their own right. They demand equality, and by doing so, deeply challenge the social hierarchies in place. Thus, domestic workers’ national and international legislative victories reflect a decades-long struggle that emerged in the global South, and was able to influence international debates on ‘decent work’ thereby deeply shifting conceptions of work and the worker. This piece first appeared on A-id on 27 February 2018 and is reposted here with permission. 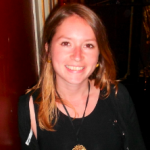 Louisa Acciari is a PhD student at the Department of Gender Studies working on the mobilisations of domestic workers in Brazil. Her research interests include social movements; feminist and post-colonial theories; the intersections between gender, race and class; and Brazilian politics. She studied Political Science in Paris before coming to the UK to do Gender Studies. She has also been involved in the student and feminist movements for years and believes in the importance of linking academia to activism and practices of contestation.